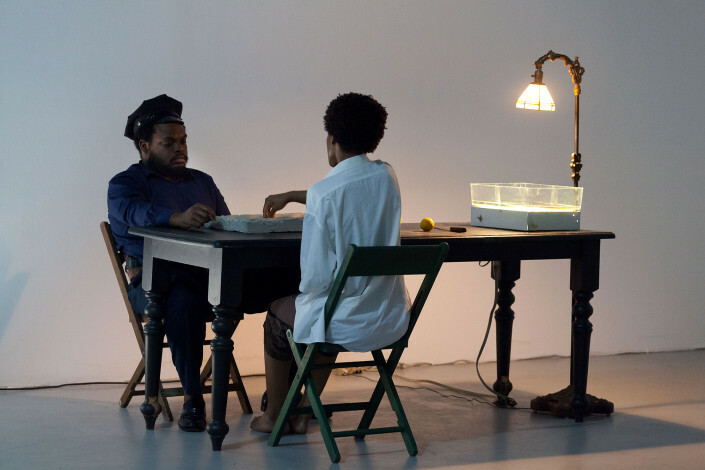 Voleur (thief) is a performance tribute to Marie Vieux Chauvet; where Jamilah Sabur and Andy Robert play a game of mancala–over the course of 2-hours, while enacting roles of prisoner and guard. Language necessarily codifies, classifies and files the world into existing linguistic categories. Confronted with a new object, the mind immediately asks; what is it? That’s a good question. It’s one that should be held onto and left unanswered for a moment or two. There is value in not knowing. When you can’t name something, can you still know what it looks like, what it smells like, feels like, sounds like – can have a deep instinctual understanding of a thing and still not be able to name it? 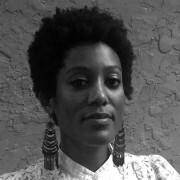 Jamilah Sabur was born in Saint Andrew, Jamaica and lives and works in Miami. Sabur received her BFA in Interdisciplinary Sculpture from Maryland Institute College of Art in 2009 and an MFA from University of California San Diego in 2014. She is interested in cognitive science and the the uncanny, the basis of her technique is rooted in movement—it is a way to explore the unconscious mind. Andy Robert was born in Les Cayes, Haiti. 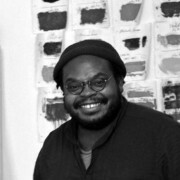 He received his BFA in painting from Maryland Institute College of Art in 2008 and MFA from California Institute of the Arts in 2011. 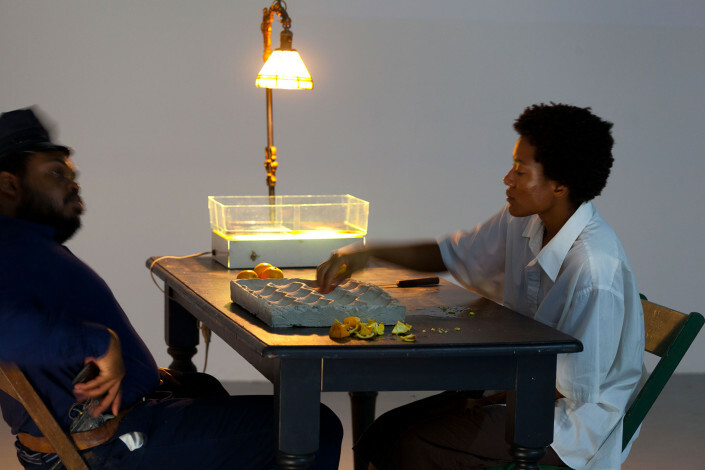 He is recipient of a 2013 Rema Hort Mann Foundation Grant. 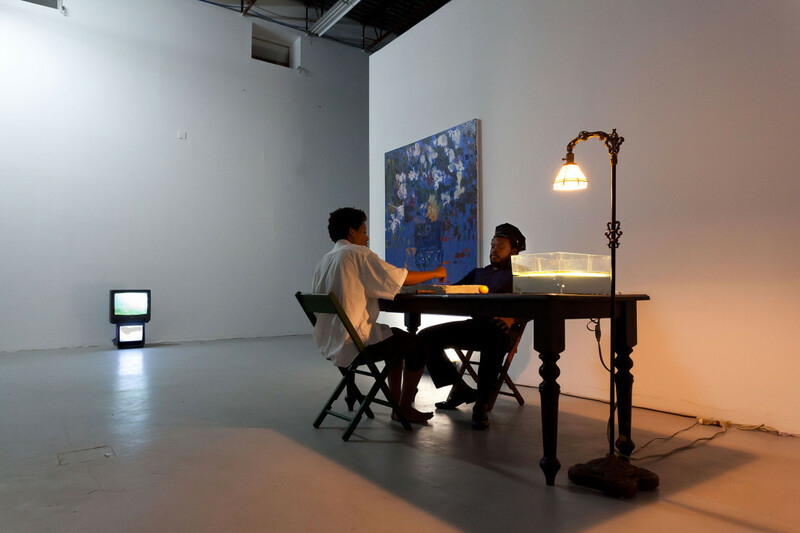 Robert was artist-in-residence at the Whitney Independent Study Program 2014-15. 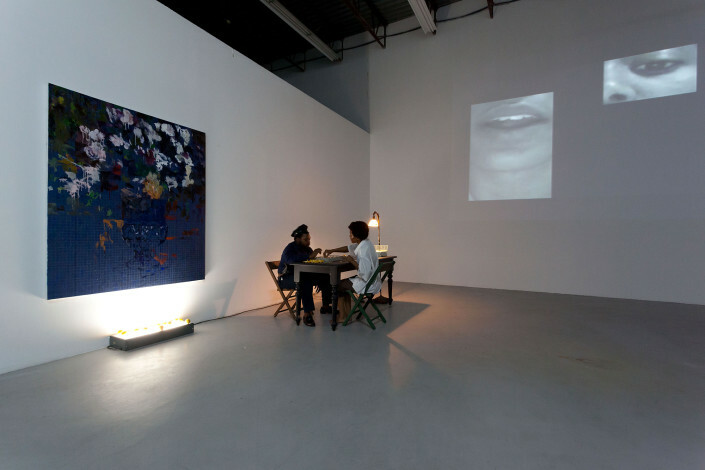 Participating artist in 2015 Bienal de las Fronteras (Instituto Tamaulipeco para la Cultura y las Artes) in Tamaulipas, Mexico.